For many educators in the EcoRise network, the Design Studio Showcase is one of the most important things that they do all semester. It’s the chance for students to show off all of the hard work they’ve done, for teachers to show administration and other teachers the great learning they facilitated, and an opportunity for community engagement. 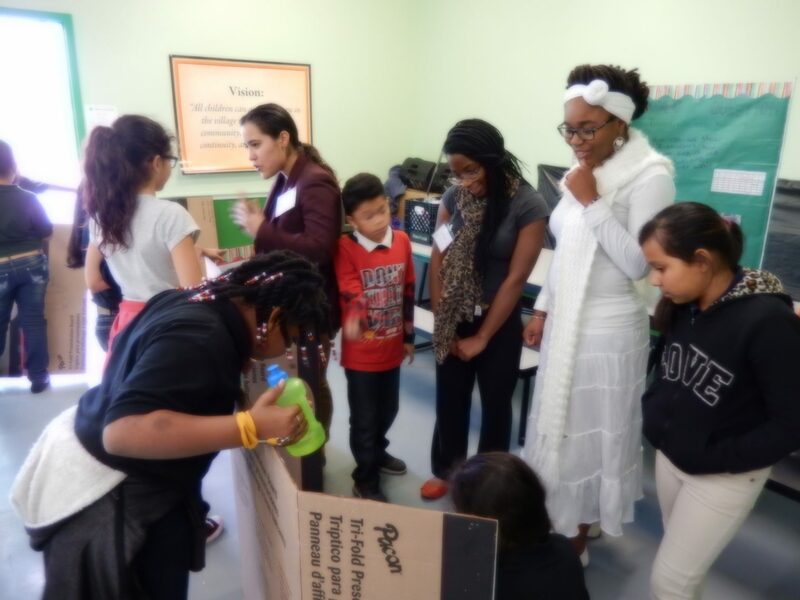 Many teachers choose to recruit community judges, giving students the opportunity to present their research and innovations to an authentic audience for feedback. During the month of December, EcoRise helped recruit Austin community judges from Austin Resource Recovery, DWG Studios, Huston-Tillotston University, UT Environmental Science Institute, Sustainable Food Center, Core Media, Texas Campaign for the Environment, and SE Rising. A big thanks to these folks for volunteering their time! Thanks to support of our partners at Time Warner Cable, students in the EcoRise club at Cedars International Academy presented results from their waste audit, waste reduction strategies, and project proposals for build out this Spring with support of student mentors from Huston Tillotson’s Green is the New Black program. We’re looking forward to the school’s next showcase in May! Contact us if you’d like more information about planning your end-of-semester showcase!